This cute little family run restaurant serves up some awesome tonkatsu (breaded fried pork) sets andsoba/udon sets to many city workers during the week (City Hall is just around the corner) and starving families on the weekends. Open for lunch and dinner. They make their own noodles there. After lunch, go through the swinging doors to their attached grocery store which serves up just made tempura, bento boxes and homemade Mochi. They also have produce and fresh meats on hand. TIP: I learned the hard way that you have to come as close to 11:30 (when they open for lunch) as possible when coming for lunch. The city workers around the corner pack the place at noon. TIP 2: If you have babies, they will suggest you sit in the room with the Chabudais (low dining tables) and tatami mats. This room fills up with smokers so position yourself near one of the windows and you’re golden. TIP 3: This is NOT a Non-Smoking restaurant. Please keep that in mind when you try and find a place to sit (provided you have a choice when you get there). TIP 4: Since all items are not pre-made (this isn’t Burger King), it does take at least 20-25 minutes for your food to be prepared. Well worth it, in my opinion. GPS: 35.75567, 139.38652. Anna Schmoldt, 2012. DIRECTIONS: Set your odometer to zero as you exit the East Gate and turn left. Turn right at the first light (0.2km) by the 7-11. Continue straight down this narrow road to the four-way intersection at 1.3km. Turn left here, onto a major road, which is marked 59 on maps. Keep driving, past the Aeon Mall on your right and across Shin Ome Kaido (sometimes called Route 5) until about 3km. When you get to Ome Kaido, signposted Route 5, turn right. Black Pork is about 50 meters down, on the left. It has a brown wood facade, which is nearly obscured by a tree. We’re not sure of the phone number, but the number of the business immediately to the left of the restaurant is 042-561-1631. After a day of shopping in Tachikawa, go to Savini for lunch or, better yet, for their “Imagination Cake.” This dessert is a light-tasting sponge cake with a generous amount of whipping cream, with small slices of kiwi, cantaloupe, and strawberries. It’s a delicious treat at ¥600 per hefty slice. Other desserts sounded equally scrumptious—baked pudding, chocolate mousse, homemade Italian ice cream, ricotta cheese cake, and fresh fruit (¥500-¥700). 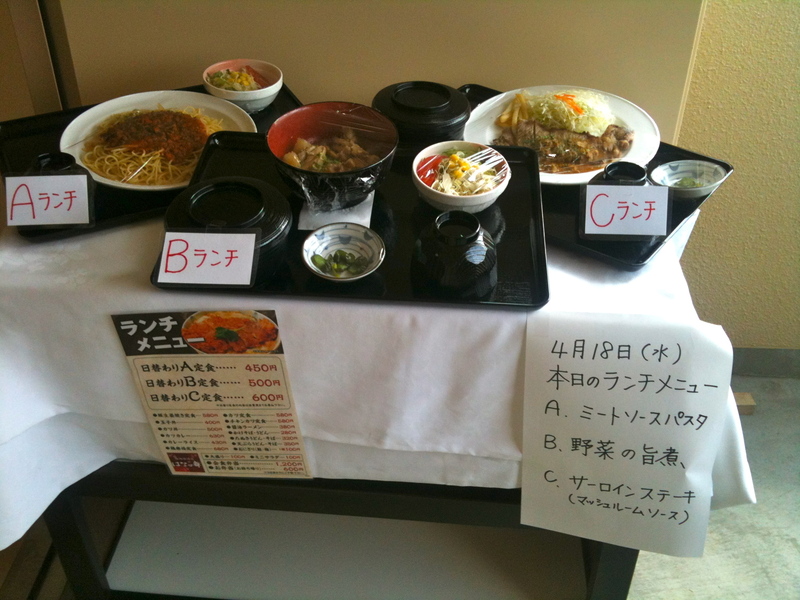 Lunch entrees include sirloin garlic steak, grilled lamb (¥1900-¥3500), goulash, veal or grilled chicken (¥1200). Sixteen choices of salad are available for ¥850 to ¥1250: spinach, seafood, tomato, green, octopus, bacon and shimeji, zucchini and eggplant, and crabmeat. Pizza in all combinations are offered: vegetarian, anchovy, shrimp, shorizo, pear, bacon, salmon, seafood, and seppie (squid ink). Pizzas with 19 or less items cost ¥1200 to ¥3900, depending on size. There is also a large selection of drinks. Open since 1968, this 30-seat restaurant fills up fast at lunch time with business women as well as women with bags filled with shopping bargains. There are English menus. Soba or Udon with Tempura ¥350 Onigiri (salmon or sour plum) ¥100. Directions: If you’re going south on Airlift Avenue, you’ll pass the gym (Samurai Fitness Center) on your left, and then an open area with outdoor volleyball courts. The next building, still on the left side of the road, is the Contracting Squadron, clearly labeled. Then there’s a parking lot. Turn into the parking lot. At the far end you’ll see a building with an external concrete stairwell. Walk up the stairs. The restaurant is right there on the second floor. Ome Railroad Museum: See separate entry. 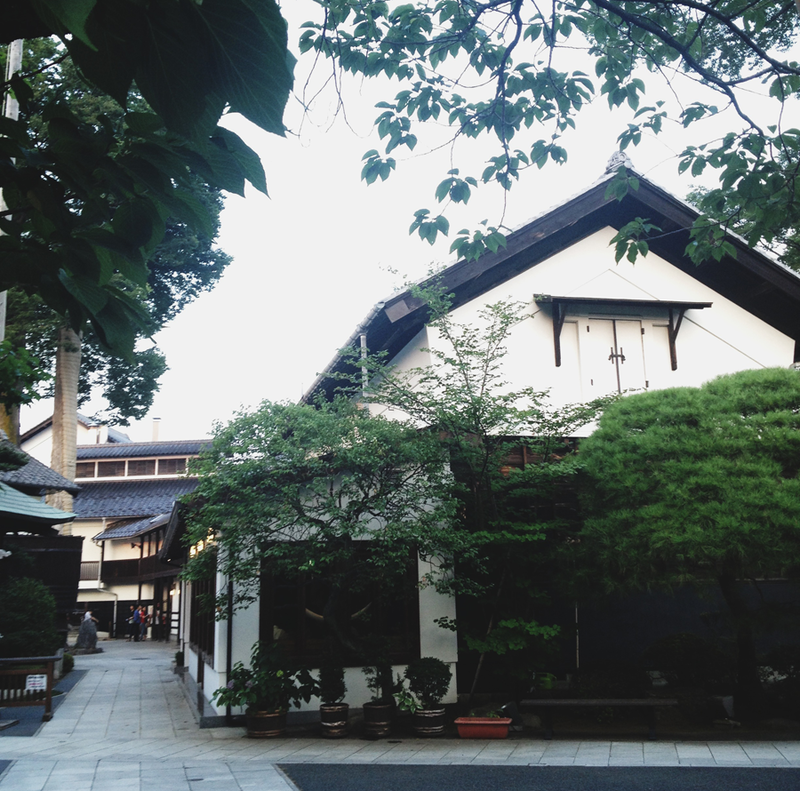 A pleasant afternoon can be spent in Ome visiting the Ome Art Museum and the Ome Municipal Museum. When we visited, the Ome Art Museum had a small display of pieces in a variety of style from ink to watercolor, mostly from the 1930’s through the present. On the first floor was a room with artwork done by school children in a nearby park. 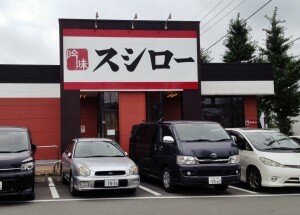 It costs ¥200, and is closed Mondays. After going to the art museum, we walked across the Tama River, through a wooded park beside the river, and visited the Ome Municipal Museum. Everything is in Japanese, but you can look at a variety of artifacts from arrowheads to farming equipment. They have a 250 year old farmhouse that you can go inside and look at the way people lived. This museum is free. TRAIN DIRECTIONS: Take the Ome line from the Fussa Station away from Tokyo and get off at Ome (14 minutes). Walk straight out of the station to the first light (“Ome Sta” intersection) an turn right. Go to the second light (411, Ome Shinimkaika Int) and turn left. At the next light (Ome Civic Hall S. intersection), cross the street and turn left onto Ome Kaido Road. The art museum is a two story white brick building a short way down on the right. The name is in kanji (above) on the wall. After going to the art museum, go back to Ome Civic Hall S. intersection and turn left (away from the station.) The first small street past the next light takes a very sharp turn down a hill. Go down the hill to a parking lot. Cross the pedestrian path over the river. Wander downstream and you will see the Ome Municipal museum short way past the next pedestrian bridge. DRIVING DIRECTONS: At the Terminal Gate, set your odometer to zero and turn right and go under the overpass. Turn left onto Ome Kaido Ave, (Hakonegasakinishi Intersection, the 4th light after the underpass, appx 2.8 km from Terminal Gate. McDonalds is on far left corner.) You will wind along Ome Kaido all the way to the lake. At 8.3km, take the left fork at the “Y” intersection. Follow the signs for Okutama. Just before 10.6 km you will pass the Ome Art Museum on the left. At 10.6km, the road ends (Ome Civic Hall S. intersection). Turn left. At the first tiny street past the next light take a very sharp (almost u-turn) left, down a hill, there is a free parking lot at the bottom of the hill along the river. From here you can walk to both museums. We like this chain of ramen restaurants because they’re good, consistent, cheap and have a great kid’s meal. Did I mention cheap? A meal set — noodles with gyoza (Chinese moon-shaped dumplings), fried rice or a small vegetable plate — costs a few coins more. You can also get a combo that is a plate of gyoza and a half portion of ramen. Best of all is the kids menu. For ¥300 I can buy my son a lunch of ramen, fried rice, a drink and a candy. It even comes with a special coin he can put in the vending machine by the door to get a small toy. At our closest branch, there was a small lunch rush at 11:45. Just add your name to the list at the podium. We wrote it in English, gave the number in our party and circled テーブル (“Taberu” for “table”.) The other choice is カウンタ (“Countah” or counter.) We were seated within five minutes. Another nice thing about this chain is that they’re everywhere in Japan, so wherever you are you’ll be within reach of a good cheap restaurant that suits adults as well as kids. This park, about 30 minutes from Yokota, is an inexpensive getaway. The park has picnic tables and an area large enough for softball. The size of the park is fantastic. It has monuments, a shrine, bridges and a pavilion. There is a soda machine if you get thirsty while trekking through the woods. It is a perfect place to reflect on nature. The park used to be the grounds of a castle. 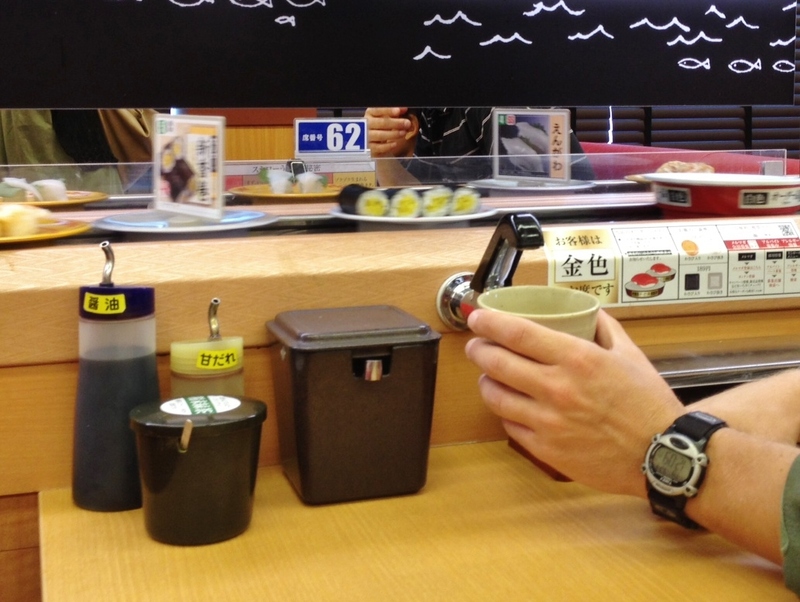 Don’t miss the shopping in Hachioji, just 24 minutes and ¥230 yen from Higashi-Fussa station. As you turn right out of the Hachioji Station, you will see the department store SOGO. Go downstairs or use the escalator, turn left and straight ahead is the department store OIOI (MARUI) with a big sign on it saying VIRGIN CD which is located in the basement of the department store. Once you enter the store towards your left you will see the Body Shop on the first floor. Tokyu Square is located directly across from the JR Hachioji Train Station and you will see an advertisement on the front of the building of the Disney Store located on the 3rd floor. Tokyu Square is a very nice, “small mall” type in itself. As you enter Tokyu Square, immediately on your left is Crabtree & Evelyn – Body Shop (personal products shop). Proceed up the escalator and on the second floor is Nature Trail (clothing), and on the third floor two stores away from the Disney Store is Crazy Shirts from Hawaii (mostly T-shirts, sweatshirts, handkerchiefs, golf items; all a bit more expensive than their catalog which you can request and place on-line orders at www.crazyshirts.com). Directly past Tokyu Square or behind it, you will find Tower Records on the 5th floor, where CDs range from ¥1800 yen-¥2300, with the latest single CDs available ranging from ¥600-1000. If the shopping at the Hachioji Station wears you out, there are several American-style restaurants to choose from. In Tokyu Station, right across from Nagasakiya is Subway Sandwiches, open 10am-10pm. Several shops down is Mister Donuts open 7am-10pm. McDonalds is also in Hachioji. 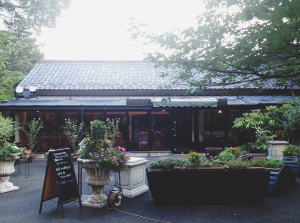 Baghdad Cafe is located close to the Hachioji train station. Its décor is somewhat dark and “cozy”—not too large, with tables and chairs scattered in interesting niches around the room and some lights along the walkways under grate-type flooring—with a definite foreign mystique about the place. There were a few gaming tables (roulette, poker, blackjack) but none were used while we were there. The luncheon menu – a.k.a the placemat – had nine entrees with pork, chicken, hamburger, or spaghetti. The ample portions had a slightly spicy flavor, but not overdone. 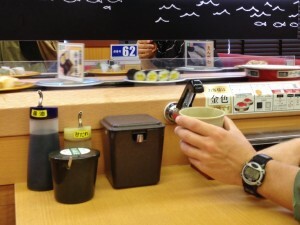 All luncheons were ¥780 and included hot vegetables, salad bar, and either cola, tea or coffee (a refill is ¥300). Beer, wine, and cocktails were ¥380 per glass. The salad bar had a dozen bowls containing fresh fruit, vegetables, lettuce, tomatoes, peppers, sauces, and dressings.The dinner menu has an entertaining long narrow black cover, filled with white pages and sketches in black. There is a long list of cocktails, “hors d’oeurves froid”, salads, side dishes, pizza, seafood and pasta. The last two pages showed a picture of a roulette wheel with an explanation of the game along with some poker hands and black jack odds. I imagine dinner time is for adults but the lunch could be a family outing. TRAIN DIRECTIONS: Go to the Hachioji Station. Exit towards Central Hachioji and turn left, going around the square toward the pedestrian street walkway. Baghdad Cafe is 4 or 5 blocks down on the left. Hours: Lunch 11am-5pm, Dinner starts at 5:30pm. Telephone? Judith McKay, date? Shibuya is shoppers’ heaven. All the big department stores are here, and entire vertical malls are filled with trendy teens. But there’s more to the area. Read on. • If, as you face the street, the elevated subway is to your left, and the elevated highway to your right, and you see the Kenwood sign across the street, and the dome of the planetarium to it’s left, you are on the east side of the station. Turn left (north), go under the subway, and you will be at the corner of Meiji Dori (Ave.) and Miyamasuzaka Street. • If, as you look out with the station behind you, there is a Triangular ASAHI sign on the building in front of you, and you can see up the street in front of you and see a sign to Nomura and Pola, you are on the North East side of the station, at the corner of Meiji Dori (Ave.) and Miyamasuzaka Street. If you went under the JR tracks to your right, you would be at Hachiko Plaza. This is a fun place to spend an hour or so during a day of shopping and dining in busy Shibuya. And it gives the non-shoppers a break from department-store overload! The tour gives visitors a look at the latest developments in the media, including various program production technologies. The interactive displays are fun for both children and adults. Displays include a 3D Hi-Vision theater, a dubbing studio where you can read the voices for animations and dramas, and a try-it-yourself studio where you can give the weather forecast or be a program presenter. Admission is ¥250 for adults and ¥150 for junior/ senior high school students, elementary school and younger are free. You know the Newseum in Washington, D.C.? This is the Japanese version. It has three floors of exhibits ranging from the first public radio transmitter used by NHK to the first TV camera they used, as well as old radios and many other historical items. One interesting display is the recording of Emperor Showa’s address to the nation announcing the end of World War II. Another fun room has a number of interactive components where you can pretend to use a teleprompter with a blue screen in the background to put yourself in another scene, and an area to practice sound effects for radio broadcasts. Tel: 035-400-6900. www.nhk.or.jp/museum/english/main.html. Brian Marriott 11/01. Hours and address verified 2010. This appears to be part of the Science Museum. Anybody know? If so, it may be closer to Takebashi or Kundanshita stations. See map at website below. Any serious cyclist should enjoy the Bicycle Culture Center in Toranoman, near the American Embassy. Displays include early two-wheeled wonders as well as the latest and greatest. The tall narrow building contains an information room on the 3rd floor, a museum in the 2nd floor and an event hall on the 1st floor. A local route map with towns in “English” can be bought in the Display Gallery, in addition to books in Japanese about cycling in Japan. Admission is ¥600 for adults, ¥250-400 for children. TRAIN DIRECTIONS: Take the Ome/Chuo Line to Yotsuya, transfer to the Marunouchi subway and take it to one stop to Akasaka-Mitsuke. At Akasaka-Mitsuke, walk across the platform to the Ginza Line and go one stop to Toranomon. Try to get in the last car so that when you reach Toranomon, you can exit through the ticket booth and go up the stairs opposite to the street. Once above ground, walk (right) toward the NCR building past the Alitalia and other airline offices. Cross the street. Just past the NCR building, turn left on the narrow street with the gas station. Turn right on the second street. The building with the Bicycle Culture Center will be on your left. It’s known as Jitensha Kaikan No. 3. Postal address: Kagakugijutukan 2F Room I, 2-1 Kitanomaru koen Chiyodaku, Tokyo. 〒 Hours: 9:30am-4:50pm. Telephone: 03-3217-1231. www.cycle-info.bpaj.or.jp/english/learn/bcc.html. Teresa Negley. Liz Ruskin updated address, website and hours in 2010. We need more write-ups for good shopping in Shibuya. Anybody? TRAIN DIRECTIONS: Arrive at Shibuya Station and take the Hachiko Plaza exit. From Hachiko Plaza, cross the street and take the pedestrian lane just to the left of the huge 2nd-story Starbucks. Bear left where the lane splits, at a store called “Gem Kawano”. Keep going straight until you get to an intersection that has an ABC Mart and a McDonald’s. Turn right. Go one block and turn left, then, in a few meters, bear right. Tokyu Hands is straight up this street, one long block past a store called FrancFranc. (Shibuya is a warren of cute shopping streets, so there are many ways to get there. It is less than half a kilometer from the station to the store. )12-18 Udagawa-cho, Shibuya-ku, Tokyo Tel. : 03-5489-5111. Open 10-8:30 most days. Liz Ruskin, 2011. Need an awesome Halloween costume? Party favors? Postcards? Furniture? Kitchen items? Whatever it is you need, The Loft most likely has it! Located across the street from The Disney Store in Shibuya, The Loft is a six-story department store that has a lot of everything. The basement has shoes, athletic equipment, swimming devices, and water toys. The first floor consists of Japanese fans, wind chimes, rubber stamps, wrapping paper, stuffed animals, candles in every color, hundreds of postcards and greeting cards, party goods, and Halloween party costumes. These are not your run-of-the-mill costumes though; they’re excellent and some are expensive. They have a sumo wrestler, ski bunny, witch, Robin Hood, nun, maid, etc. They also have a great selection of wigs, noses, glasses and bow ties (for clown costumes). Moving up to the second floor, you will find many kitchen items including dishes, furniture, and pillows. The third floor houses bathroom items, hangers, home supply items, wood and planters. On the fourth floor there are art, office and school supplies. The fifth floor has picture frames, puzzles, pictures, and books. Finally, on the top floor, there are clocks, watches, art deco items, umbrellas and a small restaurant. 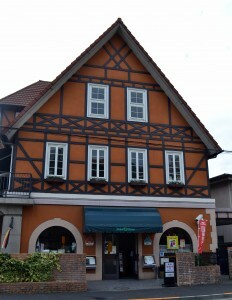 If you need it, it can be found here!Loft is similar to Tokyu Hands, but mavens say Loft is cooler. Both have several branches in Tokyo but their flagship stores are in Shibuya. TRAIN DIRECTIONS: Ride the train to Shibuya Station. From Hachiko Plaza, walk up the street you see the Seibu and OIONE signs on (between the 1st & 2nd TV counting from the right). At the second light the road will branch into a “Y” with an OIOI store in the middle of the branch. Bear to the left, here. Cross to the left hand side of the road. The Disney Store and the Loft are next door to each other on the left hand side of the road across from the McDonalds and the KFC (they are separated by a brick pedestrian-only road). 21-1 Udagawa-cho, Shibuya-ku, Tokyo, 〒150-0042. Hours: 10am-9pm. Tel. 03-3462-3807. Karen Ozment. Address, hours and phone number updated 2010. On a brick-lined street in Shibuya is a shop where Mickey, Minnie, Jasmine, Simba, Dopey, Winnie-the-Pooh and all of our other favorite Disney characters await our arrival to take them home! This three-story Disney Store carries the same products as it does in the United States: clothes, jewelry, figurines, stationery, stickers, books, videos, placemats, dishes, magnets, and toys for all ages. One interesting item that is found overseas is a small series of bilingual books, such as “ABC,” “Hurry Up,” “Good Morning,” and “Let’s Go.” Each book costs ¥700 and might make a nice gift for your children or for children you know in the States. Prices are similar for most products, except for books and videos, which are more expensive in Japan than in the U.S. This is a great theme restaurant in Shibuya for adults (children may be scared). The staff is dressed as doctors, nurses, or prison inmates. Upon entering, two people are chosen to be handcuffed and let through the prison bars to your table in another room. The rooms are low-lit with medical curtains separating the tables. Alcoholic beverages range from beer in a bedpan to a strawberry-based “blood transfusion.” For a theme restaurant, we were surprised at how good the food was. The multi-cultural plates vary so much, sharing is a great option (like a tapas bar). We had kielbasa with sauerkraut, penne with mushrooms, pork loins, and beef stirfry. The staff puts on an exciting show every night in Japanese, fun even if you don’t have an interpreter friend along to narrate details. 6:30pm Inmate/inpatient escapes; 8pm ER Surgery Show 1; 10:30pm ER Surgery Show 2; 2am (Fri & Sat nights only) Mystery Show. There is an excellent Greek restaurant in Shibuya, a wonderful way to wrap up a day of sightseeing and shopping downtown. The Aegean is one of only a handful of Greek restaurants in the Tokyo area. The home-style cooking menu abounds in olive oil, garlic, fresh salad, yogurt, and feta cheese recipes. And don’t forget the wine! Greek retsina wine is a compliment to any dish. 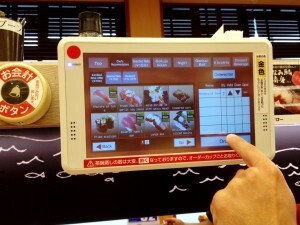 However the quality doesn’t come cheap; a dinner for two will cost you about ¥10,000. Try the set menu, which includes an appetizer, salad, main dish, dessert, and coffee. It’s the best way to experience true Greek cooking, short of hopping on a plane to Athens. The interior is small, but comfortable and cozy. 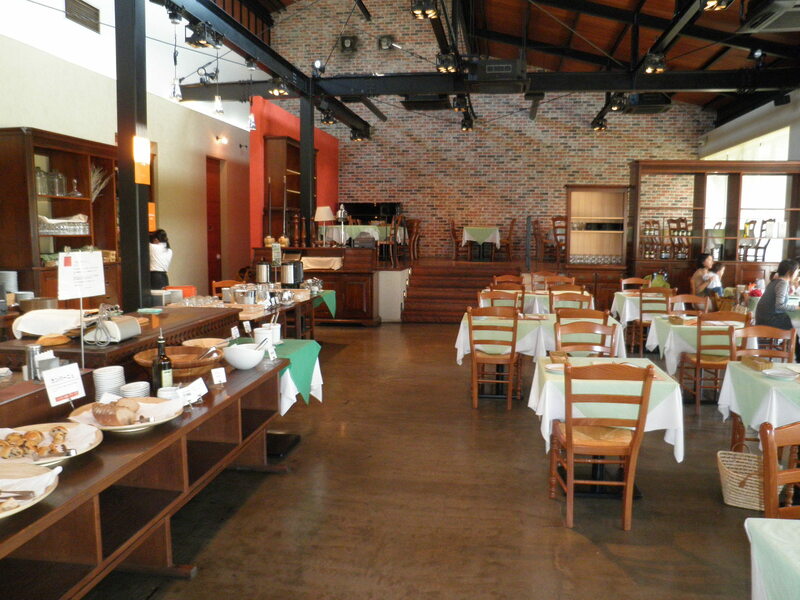 Murals line the plaster walls, and the restaurant is full of the owner’s original sculptures. TRAIN DIRECTIONS: Take the JR Yamanote Line to Shibuya Station. Go out the East Exit, and look for the Kenwood sign and dome of the planetarium across the street in front of you. Turn right, and cross the intersection via the walking bridge onto Meiji Dori (Ave.). Aegean will be a short distance ahead on your left. It is on the basement level, so look for the sign on the sidewalk. B1, Oriental Building, 3-18-3 Shibuya, Shibuya-ku. Hours? Telephone: 03-3407-1783. Kristen Marriott, date? The food can be described in two words: predictable and reasonable. You get free chips and salsa. How about a Tecate with lime (¥650) or maybe a Corona (¥700)? Do shots? There’s a selection of Cuervo (¥500-1000). Taco plates (¥780-1180) have two or three tacos with beans and salsa. Enchiladas and burritos (¥880-1080) are popular, perhaps because of the generous portions. The Outrageously Chimichanga (¥l280) is a beef and rice mixture fried inside a huge flour tortilla, served with a special ranchero sauce, guacamole, and sour cream. Three of us shared this tasty treat and there was still some left over. Fajitas (¥l780-2480) come in chicken, beef, shrimp, and combination varieties. For beef lovers, a must-try are “San Antonio Fajitas” (¥2980) where generous strips of top quality beef are grilled at your table, to your taste, with tomato wedges, onion, and yellow pepper chunks, then combined in soft flour tortillas with the usual accompaniments. Combination plates (¥l480-1880) feature a mix and match of dishes, plus soup and salad. There are also two child plates (tacos or quesadillas for ¥580). Don’t forget dessert! Ice cream (¥380), Kahlua mousse, Mexican cheesecake (¥450), banana chimichanga (¥4810), and fried ice cream (¥480). DIRECTIONS: There are three locations in Tokyo: Nishi-Kasia (03-3804-0704), Eifuku-cho (03-5376-7611) and Roppongi (03-5466-7917) The last location is close to the New Sanno. 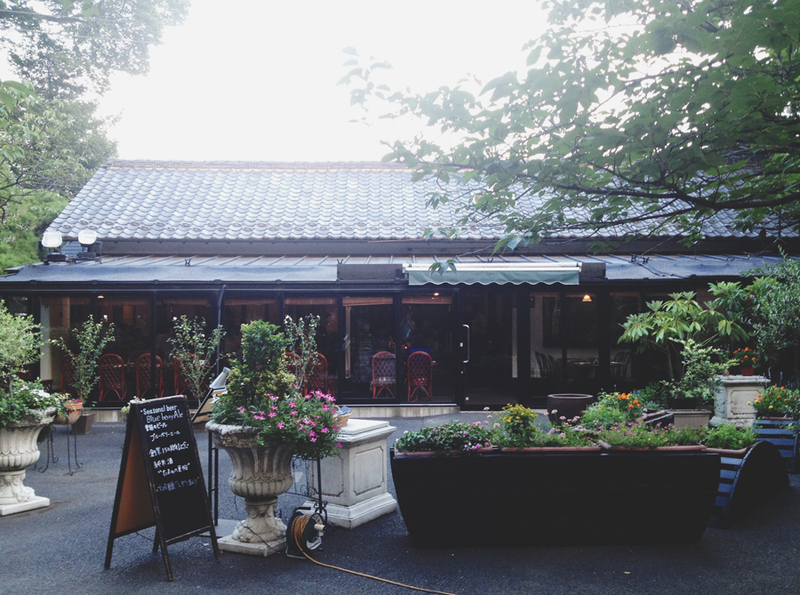 It is across the street from Exit A-5 at Omotesando Subway station. From Hiroo, take Hibiya Line four stops to Hibiya, switch to the Chiyado Line (green) and go five stops to Omotesando. The restaurant is on the third floor of the La Mia Building, which also houses boutiques. Hours: 11am-11:30pm daily; bar opens at 5pm. These all could be updated… want to take an entry… add photos and turn it into its own post? Go for it! Email the updates to: editor@yokotatravel.com. This shrine was established over 800 years ago and was first used by farmers to pray for good weather and to give thanks for a good harvest. Today it is used primarily by resident merchants in the surrounding community. It is also known for its Ginger Festival on September 9 (go to in the festival section for more information). DIRECTIONS:From Fussa Station, take a train toward Tachikawa but get off at Haijima, a four-minute ride. Transfer to the Itsukaichi Line. Ride another seven minutes and get off at Higashi-Akiru Station. The shrine is a four-minute walk from here. Need walking direction from station. Thirteen thousand years ago people settled the area now known as Akigawa City and this area has been inhabited ever since. The fertile triangle created by the confluence of the Hirai and Aki rivers with the Tama river, a ten minute drive from Yokota, has yielded many archaeological finds from the Paleolithic Era to modern times. A sample of these artifacts is available for viewing at the Ninomiya Shrine Museum. The museum, opened in 1990, is located on the grounds of the Ninomiya Shrine and is open Friday – Sunday from 10am to 4pm. To find the museum, follow the path around the right side of the shrine through an area of smaller monuments including a red torii gate. The museum is divided into three areas. The doors open into a central room where visitors are greeted and literature displayed. Maps on the wall, although annotated in Japanese only, will give you an idea of the areas where artifacts have been excavated. Proceed from this room to the display room on the right. The display room is set up to be viewed from the left where a model of a Jomon period (10,000 BC to 300 BC) hunter-gatherer dwelling is displayed. If you have visited American Indian museums, you may see a similarity to the dwellings and life-styles of prehistoric Eastern American Indians. The third large section of the museum is a working archaeological lab where pot shards and other finds are painstakingly pieced together under the guidance of Masanori Narusako Sensei. This area is not open to visitors. While at the museum, don’t forget to pick up a copy of Exploring Akigawa City. This map is written in English and shows hiking trails, shrines, archaeological digs and other points of interest in the area. DRIVING DIRECTIONS: Turn left out the Fussa Gate and then turn right at the first light. You are now on Tamabashi Dori, which changes to Itsukaichi-Kaido after you cross the Tama River Bridge (2km from the Fussa Gate). Just after you cross the river, the road doglegs to the left, then to the right. The second light after the doglegs will be labeled Route 168 to “Ninomiyajinja.” Go straight, but slow WAY down, because you will be turning into the first tiny street past the light. It looks almost like a driveway. Go up the hill and park at the end of the street in the lot in front of the torii gates. The museum is on the left of the torii gates. The shrine is through the torii gates in front of you. This is only about a 15-minute drive. Marja A. Weaver, date? If you like to paddle in a rocky stream, float along in a rented boat or on an inner tube, or just people watch, consider the Akigawa River. It is about 25 minutes from Yokota. The most famous spot in Akigawa is Summerland, but upstream from there you will find access to the river and even some fishing spots. DIRECTIONS: Turn left out the Fussa Gate onto Highway 16. Set odometer to zero. Go to the first signal light and turn right. This road is marked “Tamabashi Dori.” Go through Fussa, across two sets of tracks. The road will go downhill and cross the Tama River. Keep to the main road as it bends going up a hill. You will come out on level ground on the other side of the river and then the road will be “Itsukaichi Kaido.” Fresh farm produce is sold along this road in the summer. At 5.1km you will come to a light with the sign, “Akigawa Shiyakusho.” Keep going straight. The light at 5.5km is the turn for Summerland (the cross street is Rt. 411, so you would take a left if going to Summerland). Keep straight for Akigawa. You are getting into the country now and can see the mountains. The road will widen at 7.8km and there will be a map of the district on the roadside at 8km. From now on, you can turn left down almost any side road and reach the river. The light at 8.8km marks the left turn that will take you to a private beach. 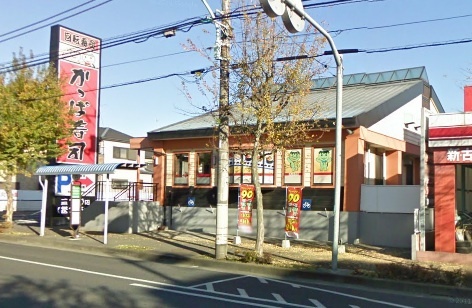 On a near right corner, up high, there is a large pink, red and white sign with a flower on it and an arrow pointing to Ozawa, a nearby store. The name under the light there is Yamada. Turn left here and follow the road downhill and across the Akigawa River. Just across the bridge on the left is a little shop/restaurant through which you have to pass to get to the beach. You can park up the hill to the right for a fee. (¥500). 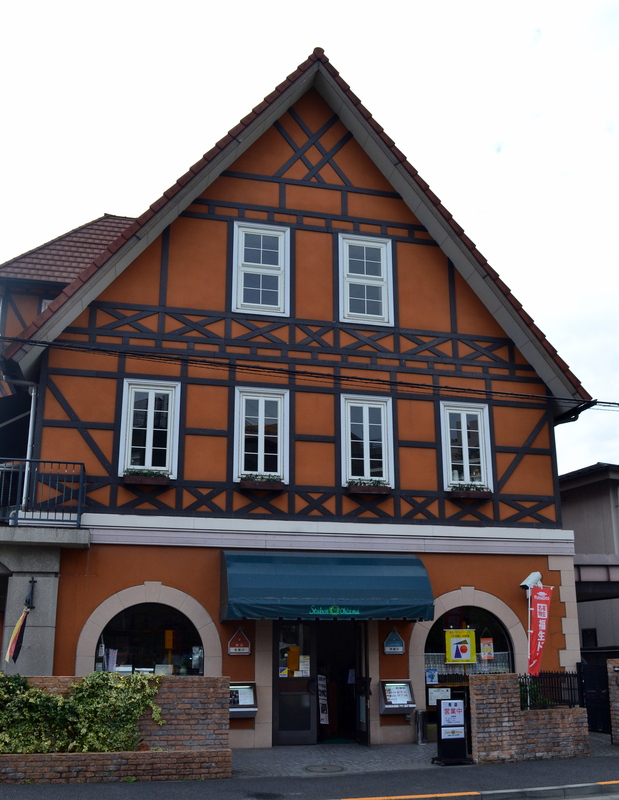 The little shop “Sansuiso” sells drinks and snacks but no western food. The shop is open year round, except rainy days 8am-5pm. There is a small entrance fee. You can also rent a “teppan” (large griddle for outdoor cooking) and buy charcoal. There are old toilets and running water. You can also rent small rowboats. Mosquitoes are bad in this area in the summer season so be sure to bring insect repellent. Claire Scriba, date? Even trout fisherman can find a way to ply their sport while they are in Japan. The nearest fishing hole is the Akigawa River, which is full of rainbow trout. The Japanese government owns all the streams and landowners along the way can open their portion to fisherman. They raise trout and release them into the stream, usually between 9am and 1pm. Fish of different sizes can be caught and some are pretty big. You can fish all day for about ¥3000 and there is a 10 fish limit. 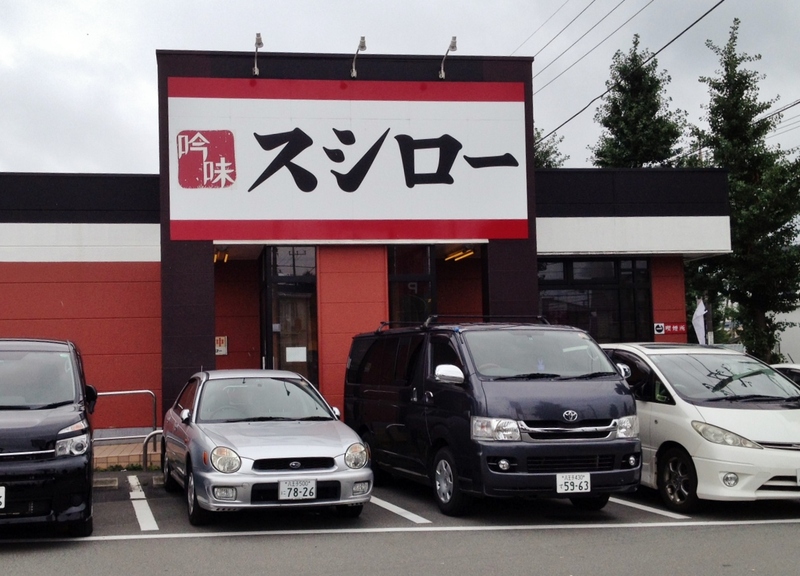 The fee does not include equipment but you can rent a bamboo pole for about ¥300. You can buy bait for about ¥400. Outdoor Recreation offers fishing equipment rental and they can provide you with the current laws regarding fishing and other useful information. Sunday is the busiest day because the Japanese are off work, so going on a week day would be best. With the exception of the fly fishing area, the trout camps are open year round. DIRECTIONS: Go out the Supply Gate and go straight. You will cross over 2 sets of railroad tracks. At 1.4km, turn right onto Denen-Dori. There will be a large, four-corner pedestrian overpass at this intersection. Go 1.3km to the “T” intersection and turn left. Go 2.6km and at the top of the hill, turn right. When you come to a fork in the road, bear right. Go about half km to the light. There is a gas station on your left. Go straight through the intersection. Follow the road about 5km and you will come to another “T” intersection; turn left. After about 2km you will cross railroad tracks. Shortly after that, you will see a big sign, in English, for the “Akigawa Trout Fishing Camp.” Keep to the right. About 2km after the sign, you will come to a light; turn right. You will soon see the big Welcome sign to Akigawa. Sondra Halweg and Rosandra Corea, date? The Akiruno Rupia is a small mall next to the Tokyu Department Store in Akigawa. It contains gift shops, boutiques, and restaurants, including the sandwich chain Subway. 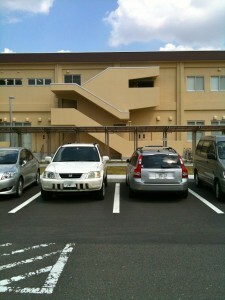 On the second floor is a covered walkway to the four-story Tokyu next door. Tokyu has a supermarket section with a bakery nearby on the ground floor. There are also cosmetics, accessories, handbags, and shoe sections surrounding an open area with benches. Mens’ and Ladies’ wear are on the second floor with children’s clothing, housewares, furniture, and appliances on the third floor. Owners Sue and Tatsuaki Ichikawa have been serving homemade noodles at this location for twenty years. The building is spacious, with four seating areas holding approximately 50 customers. 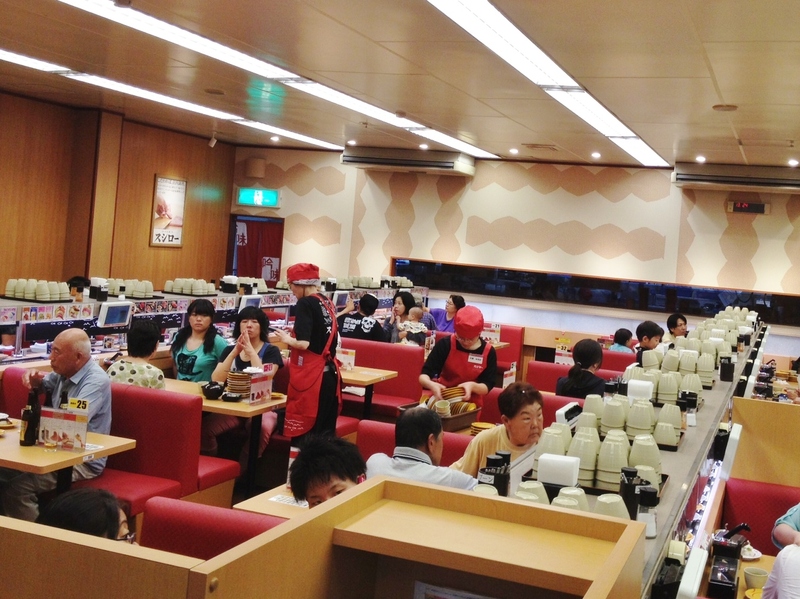 One section has tables and chairs (for 14 customers); the other three raised tatami sections have cushions and low tables. 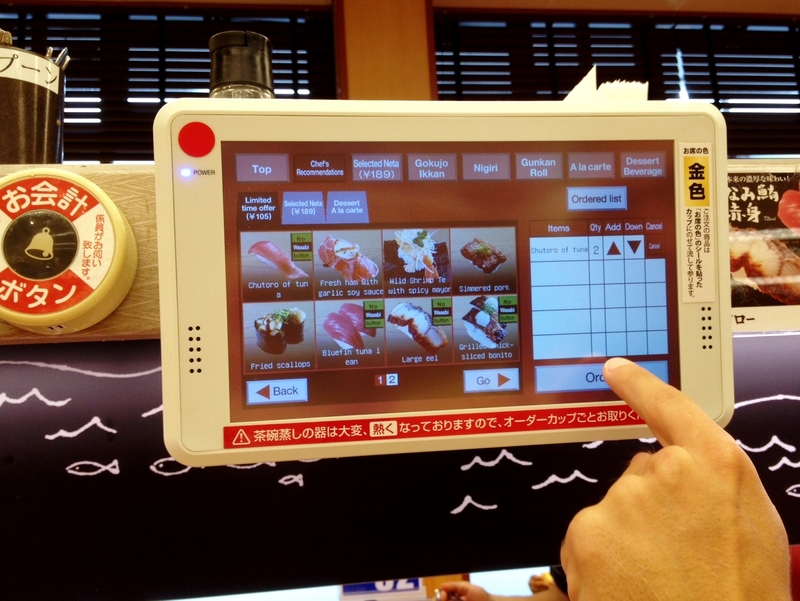 Although English isn’t spoken, Americans are warmly welcomed and the menu is in both Japanese and English. Although udon and soba noodles (served hot or cold) are the specialty of the house, tempura and rice dishes are also available. Meal prices range from ¥650 to ¥1000 for either lunch or dinner. Because there are only two parking spaces at the restaurant and the street is narrow and filled with parked bicycles, driving is not recommended. DIRECTIONS: Take the Itsukaichi Line from Platform 1 at Haijima Station two stops to Higashiakiru. It’s a four-minute ride and costs ¥l50. As you exit the Higashiakiru Station, turn left over the tracks (past lots of bicycles). It is the second building on your left. Hours: 11am-3pm, Tuesday through Friday, 11am-8pm on Saturday and Sunday, and closed on Monday. Telephone? Sally Mayberry, date? 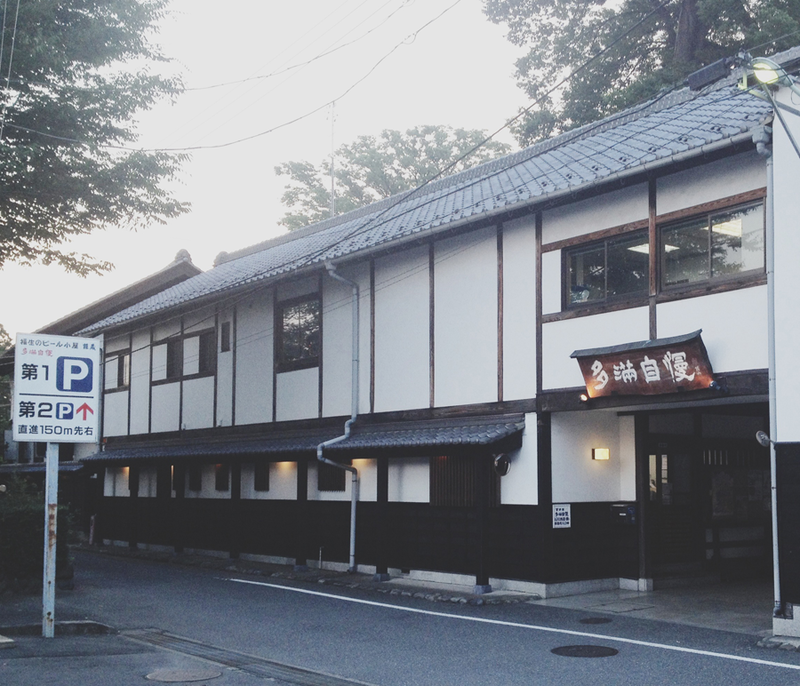 The Black Tea House, or Kurochaya, about a 40 minute (13km) drive from Yokota on Itsukaichi Kaido, is a wonderful restaurant of traditional construction next to a river among bamboo groves. It’s where you may want to take visitors from abroad if they cannot visit Kyoto or Nikko (there’s lots of tatami, wood, and sliding doors). Although the meals are expensive, they seem worth it and you get plenty of food (some of it just for the brave). Multi-course meals of barbecue-it-yourself beef or chicken plus in-season vegetables were offered for ¥4,500 to ¥7,500 at lunch time. Plum brandy is included in the meal along with fruit and a sweet. Arrive early enough to roam the grounds and enjoy the gazebo, waterwheel, river and trees. Once inside, each party has a private room with a deck-like balcony, overlooking the beautiful surroundings. Reservations in English are accepted. 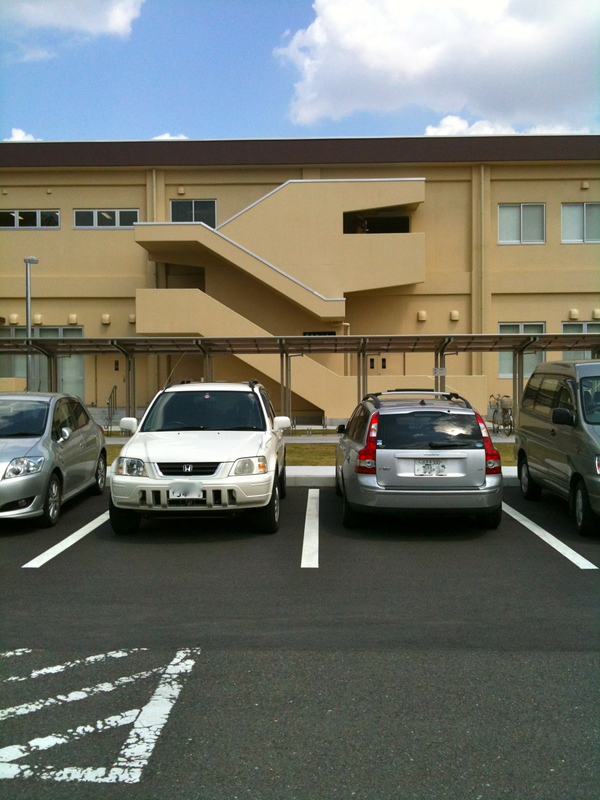 DIRECTIONS: Turn left out the Fussa Gate, then right at the first light. Go over the river and past Route 411 (Akikawa Kaido) toward Hinohara. About 2km after the Itsukaichi Station sign, past the police station on the right, turn left at the Ko-Nakano intersection (gas station on right). 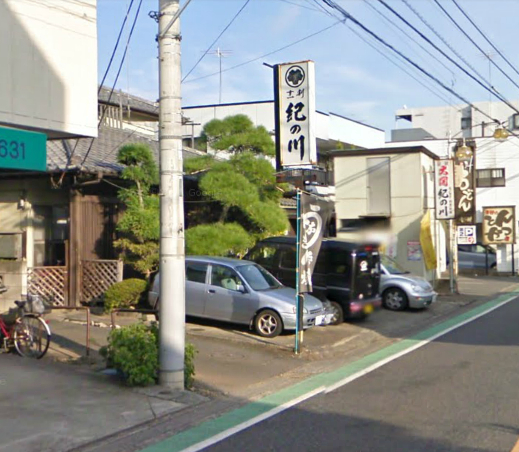 The restaurant is down the “block” on the left (the main parking lot is down through a steep and narrow ramp. You may also park back in the corner lot, on the right). Hours: 11am-8pm except Tuesdays and Japanese holidays. Telephone: format?96-0129. Karen Ozment, Teresa K. Negley, date?